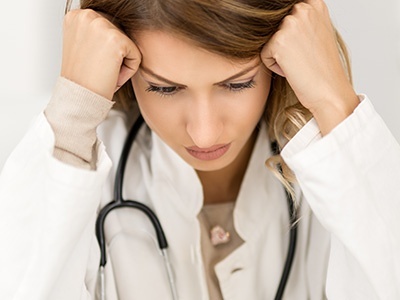 Workload, competition, and other stress factors have increased burnout rates among residents and fellows. Shaping residents and fellows to be aware of their well-being and to have a sense of resiliency is extremely important as they complete their programs. Adding the Well-Being Index to monitor and improve well-being will in-turn produce better physicians who are more capable of engaging with their patients and providing better care. The 9-question Well-Being Index was invented by the Mayo Clinic for Residents and Fellows as a validated screening tool to evaluate fatigue, depression, burnout, anxiety/stress, and mental/physical quality of life in residents and fellows. An individual’s score is compared to normative data from a large, national sample of U.S. residents and fellows. Evidence indicates that the Index is useful not only for identifying distress, but also for identifying those whose degree of distress places them at risk for adverse consequences (e.g. medical error or suicidal ideation). ACGME has proposed new common program requirements that include Well-Being (VI.C. ), and the Resident/Fellow Well-Being Index is a validated tool for self-assessment screening purposes. Training physicians to realize the importance of self-care is most effective at the start of their careers. By completing the Well-Being Index regularly and tracking their results over time, residents and fellows are able to better identify the causes to a change in their well-being evaluation, promoting self-awareness down the road. Providing a tool and promoting the importance of well-being encourages residents and fellows to feel supported. The Well-Being Index is one of the ways to facilitate a safe space and to remove the stigma of discussing burnout and meet the new proposed requirements. The Resident and Fellow Well-Being Index meets proposed ACGME self-screening tool requirements. Individuals can compare results with their peers based on national averages, yet all data is 100% anonymous. Resources and reporting features customized for your organization. Provides valuable resources and a safe space to remove the stigma of discussing burnout. Promotes a habit of tracking well-being over time at the start of a physician's career. Assessments are validated, proven effective, and have been used by more than 35,000 professionals. Build a custom quote with our easy-to-use calculator. Once you have a cost estimate, you can print or share your estimate to plan for future planning purposes. This tool is meant to help you assess your estimated cost. In the fields below enter in the amount of individuals you expect to utilize the Well-Being Index. Below is an estimate of the total cost. It is not to be considered an agreement. It is meant as a ballpark estimate for planning purposes. Download or print out this estimate, or click the button below to get started on the next steps. This one-time setup fee includes one version of the Well-Being Index and account setup (importing your email list, training, among other general setup items). After the first version (included in the one-time setup fee), each version of the Well-Being Index is $0 to deploy. Billed annually, the licensing fee is the cost to use the tool. After your initial investment, if everything stays the same, your annual costs will simply be the $0 annual licensing fee.